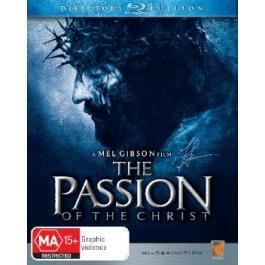 There's nothing magical or biblical about Mel Gibson's The Passion of the Christ but rather it is more an epic, realistic and brutal interpretation of the last hours of Jesus Christ's life. Not only was the movie one of the most highest grossing non English speaking films of all time but it sparked quite a controversy regarding the interpretation of the Jewish and Roman people of this era. Gibson, quite an ardent Catholic assisted in the screenplay of this film and in order to make it as realistic as possible, the dialogue of the movie is in Aramaic, Hebrew and Latin which is a feat in itself. Unlike some of the Hollywood interpretations of the life and death of Jesus Christ, the film begins quite powerfully and ends in the same vein. Gibson does a good job of introducing the mythologies from the bible and the characters from the get go such as Jesus (James Caviezel) being tempted by an androgynous Satan (Rosalinda Celentano) while his apostles sleep. One of the first controversies of the film is how the Apostles are interpreted by Gibson and fellow screenwriter Benedict Fitzgerald who are quite disloyal to Jesus when it comes to the crunch, especially Peter and Judas. When Judas does betray Jesus for thirty pieces of silver, he is quite graphically tormented by demons, until he eventually takes his own life. Another moment of the film is when Jesus is captured by Caiaphas and the temple guards for insinuating that he is the son of god. He is then given over the Roman authorities to Pontius Pilate to condemn this trouble maker to death, however he gives the Jewish people a choice of either letting this man go free or rather, freeing the condemned criminal Barabbas. The mob chooses Barabbas over Jesus which forces Pilate to condemn this innocent man. The graphic nature of the movie begins with the Roman soldiers forcibly torturing Christ before his journey of carrying in his own cross. Never in history, has a movie portrayed Christ like this, bloody and broken, yet somehow it makes the movie all so more powerful. As Jesus is helped by some unlikable citizens, he is eventually crucified and with his last dying breath, Jesus forgives all those fought against him. God on the other hand is a little more vindictive as a the temple that caused his son to be crucified is destroyed in an earth quake as Satan screams in defeat. Even though it was such a gruesome experience for most, the films ends as powerfully as it started with a resurrected Jesus Christ walking out of his tomb with holes in his hand from the crucifixion. To compliment this powerful film, the soundtrack is quite awe-inspiring and suits the era and content of this movie perfectly. The video quality looks stunning on Blu-ray with sharp images, perfect skin tones and deep levels of black. Match that with the audio quality and you have a true cinematic treat that needs to be heard loud to be appreciated, especially the thunderous boom from the heavens at the end of the film. To compliment the well written story, the actors of the movie truly outdo themselves in their roles, especially Monica Bellucci as the beautiful Mary Magdalene and the talented Maia Morgenstern as Jesus' mother, Mary. Although this movie was released in 2004, the star behind this current release is the Director's Edition that contains a plethora of amazing special features from the recut edition which is Gibson's own true vision to this movie and how he intended to the story to be told. Ironically, Gibson's director's cut seems to be less graphic than the original theatrical film. If you still want to go beyond the movie, there are a plethora of other special features from commentary, documentaries, a making of, featurettes and deleted scenes which is quite a joy to watch, especially the painstaking effort that went into this product. This is a must have Blu-ray, not just because your Christian but rather how Hollywood can create powerful epics and this is no exception to the rule. Even though Gibson's vision created some anti-Semitic comments, the realism of the movie goes beyond the criticisms. Even seeing this film a fourth time, the powerful story and interpretation of Gibson still leaves me frazzled and makes me ponder about the man called Jesus Christ. Highly Recommended!